Nice Sunday brunch at the Nobu Shorditch. Great value, includes delicious buffet and then plates to table (seem to remember 6). 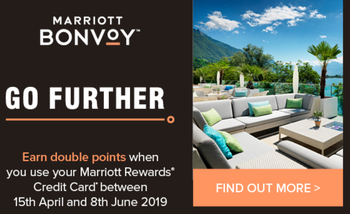 Ref – Marriott points part. Does the pop up box appear on any particular page when you log into your Creation account? Yes, after you complete the numbers code. It’s an information page, When I click on ‘Find Out More’, I get ‘Page not found’. I do hope it’s not necessary to sign up for the offer! First page after logging in. No pop-up for me, with or without adblocker. Perhaps they think I put too much on the card anyway? I need to phone them anyway, as they have not replied to my e-mail of a week ago about giving me fewer points than are printed on my statement. OT: Tesco mobile @Nick and others discussing yesterday. My latest lot of points have posted this morning so that now 10x bonus all exactly 9 days after topping up with the £20 voucher. I did my first one at the weekend. Have a 2nd one to try. Are you using any of the data? Or just buying the points for the price of the voucher. We can use the data on one when we are away in our caravan next week as you have to pay for WiFi at the sites so I will be able to use up one lot of data. Normally use a mobile WiFi gadgety thing. No, not using them at all. Obviously it’s an even better deal if you can get use out of the sims. I think it runs for a while yet so hopefullh you can get use out your second sim too. Good news! Might be worth just explaining how you have split this. How many per card, how many per account, etc. Not as good as you think 🙁 It is 5 clubcard accounts ×2. However, somebody reported last week we can get 2 per number per clubcard so over 4k is possible. So far this has not yet been confirmed by anybody else AFAIK. Ah! I have succesfully done 2 x 2,000 points per card, but haven’t yet tried more than 4,000 points per account. I’ve done this across two accounts (one card on each account) but have second and third cards on each account to use if we know more than 4,000 per account is achievable. It says max 2k cc points. I think you can get 1 x £20 too up or 2 x £10 top up. Still no word on the new Marriott Bonvoy UK card then I guess? Wow, this Tesco Rocket Packs offer is something else! After spending an age navigating their clunky websites I run into ‘security issues’ topping up the account and am told by their agent to wait a few days and try again. Local Tesco doesn’t stock the £20 Rocket Packs. I’ve started this so I’m determined to finish but frankly losing the will to live. If I was simply after a new PAYG service I would have long since gone to a competitor. I ordered the free sims online and they came in 2 days – our local small Tesco didn’t have them to pick up. Went to the big Extra shop with a phone shop and bought a £20 voucher and topped up that way per BJ’s instructions. Thanks Liz. Will pop up my local big Tesco, which I seee has a phone shop, over the Easter weekend and try that way. Ignore the app and websute. 1. Pop sim in phone and make unanswered call to activate ysing 20p credit that comes on sim. You will receive 3 part txt message welcone to tesco mobile. 2. Call 282 to add clubcard number. You receive txt confirming it’s added. 3. Call 4444 to add £20 top up voucher (buy in store when collecting the sims, sins are fred if purchased with a top up voucher). You will receive txt saying rocket pack will be added within next 2h. You don’t need to go to Tesco to top up. You can go to any shop that sells Tesco Mobile top up. We did at it our local Co Op. Yes, but if he wants the sim card for free from a store then he needs to buy a top up at same time otherwise tbey are 99p I think. I did all mine online and by phone. Never set foot in a store. Can multiple Tesco accounts redeem for the same avios or VS account? Didn’t realise they were free, good tip BJ. Paid 99p each for Mine! It will be delivered to you via email. Call the number, give the voucher code and done. Hope that helps. Bits: Signed up for Heathrow Rewards BA2019 promo, spend £150 in a day and get 2000 points. Did the spend 2 weeks ago giving my card details to the retailers. Still nothing on my account except 100 points welcome bonus. Anyone else had spend register and time frame please ? Happened to me last year – had to email to customer service who sorted it out. 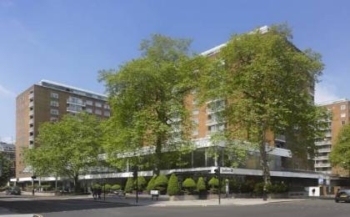 I work on Portman Square – just a quick correction but the new Nobu is behind M&S Marble Arch / Selfridges and not John Lewis! OT – I’m looking at flights from Newcastle to Sydney over Christmas and can get them for about £2400 (Skyscanner) with Skyteam, a bit more than the £2000 ex EU but not too much considering the lack of direct flights to a cheaper starting point and definitely a lot less than One Worlds offering. Outbound would be KLM from AMS to Seoul on a 777 and a Korean A380 to Sydney, returning on China’s A350 to Taipei and an AF 777 to Paris. I’m very happy with AF and KLM’s 777 Business seats but don’t know anything about the other two. 2: Is it worth a few days in Seoul and Taipei each way. 3: If so how do you go about booking the layovers. 1. Korean are deemed to be a good airline. China’s A350 i’ve been on in Economy but Business looked very good too and the seat is better than you’ll find on BA. 2 and 3 I can’t help you on sorry. Try using multi city to get the layovers in. Sadly multi-city doesn’t seem to work; the prices are astronomical even using the same airlines. 2 days in Seoul are worth it, one of the best bars and restaurants I’ve come across, plus some sightseeing on top. Which are these? Off there in Nov! Have you checked prices exPrague at Korean and Czech Airlines webpages? I find that often the cheapest fares don’t allow you to extend the layover, unfortunately. OT: Anyone with a wheely referral 20% promo code? Looking to use it tomorrow with amex offer. Thanks ‘bob’ from an article a few weeks ago, I used yours but couldn’t leave a message to say thanks as comments were closed on the post. So On Marriott. I spoke to customer services as no pop up on my online account. Apparently the offer is available to all cardholders, but only for purchases at Marriott Hotels, car hire and airline bookings, and restaurants. Not just limited to U.K.purchases. Purchases outside of the above categories are not included. Also mentioned if a new card was coming soon, and it was definite no as Rob says. Doesn’t sound right though …. I can’t believe they’d bother with a promotion for a card with no new sign ups and no future unless, in fact, it has a future! I’m really keen to get more Bonvoy points. Marriott announced that the card would be re-opened in August 2018. Never happened. 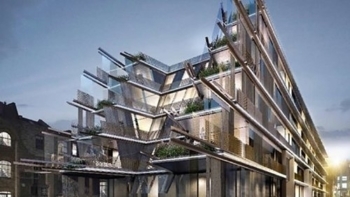 Creation is believed to be struggling with the IHG card which may impact their enthusiasm to reopen the Marriott card. I’ve never got a straight answer from Marriott about what is going on. I do know the Creation people but they are not hugely helpful either. The Hilton card is the one we need. Even though there have been periods when I have made very little use of both Marriott M/Card and Hilton Visa, I am really glad that I have hung onto both. I do not think that I have ever cancelled a hotel scheme card myself, and now really pleased that I have not done so. These days, Marriott M/Card is the M/Card I always have with me. OTOH, I did cancel my Lloyds Avios cards after I realised that they had not been used for nearly two years, and I cancelled my Tesco M/Card after getting the sign-up bonus and once I had earned 50 points on the card. I had to do that because the points were otherwise orphaned. CS said it would sort itself out, but it never did! OT – Lloyds. Can anyone remember if the £200 monthly no-fee cash withdrawals via Curve counted towards the £7k spend for the upgrade voucher? I had mentally written off these cards but now it’s looking like I’ll have until next Fen to earn another voucher (and I have cancelled a couple of Amexes lol), so I need to get spending again! Me neither but I’ve never read the small print on what qualifies as spend towards the £7k. Yes, [email protected] is fine. Did over £5k in three days to trigger my last voucher in December. Also B. Midshires works too IIRC. Has Hilton Chat been abolished? Does anyone know how to find out when their Hilton status expires please? Expires 31 March. Reports suggest twitter CS is best. but which year, having just used Amex Plat to hopefully extend it? In that case, the rest of this year and all of next so 31 March 21 … enjoy. I applied for Amex Plat (Six Months Gap) however after the new bonus rules. There is a progress bar in my account showing 30000 points on 2K. I had a chat session with Amex, representative can see that I have bonus progress bar through insist rules have changed. May someone please suggest or in same position? Idiot. You don’t deserve the points you are inevitably going to get if you alert amex about it. Spend £2k and see what happens? If you applied for the card in the knowledge that you wouldn’t get the welcome bonus, you must be happy to spend on the card anyway. £60 gamble using Bill Hop (I applied the card for long trip I have insurance + lounge). No Marriott double points for me either but i can have a loan at 7.9%. Do I have to use my Plat to book with Marriott in order to make use of the Gold Elite Status? Would I for example be able to book a stay direct with Marriott, logged into my account but pay with OH’s SPG card and get the Gold benefits which are on my account? Book with any card you like. You will still be Bonvoy gold even if you cancel your platinum card. @BJ, how does the NS&I trick work for the Lloyds upgrade voucher? I have a NS&I account I used way back for the 3v cards and still have it.